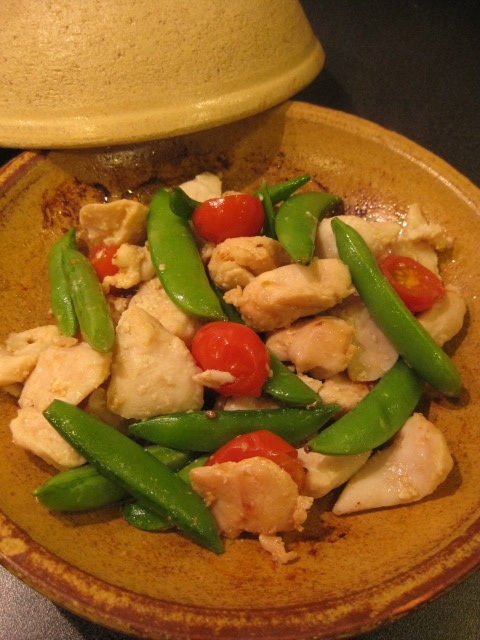 Shio-koji is indeed a magical seasoning, because it makes a simple dish taste so complete. 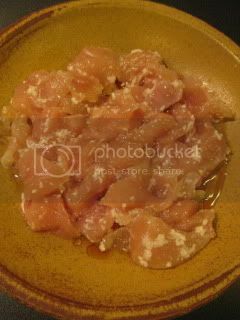 The enzyme of koji also tenderizes meat. Super simple, tasty, and healthy donabe dish is here. For this dish, I used Donabe Steam-roaster, "Tochinsai". 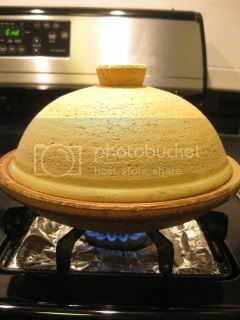 This compact donabe is very versatile and you can used it on both stove top and microwave. 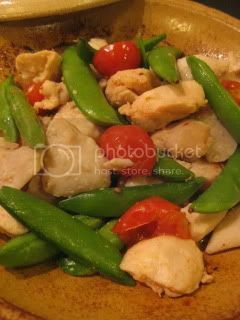 Cut 1/2lb chicken tender into bite-size pieces and marinate in 1T shio-koji for overnight. On a skillet of Tochinsai, drizzle 1T olive oil and spread 1 clove garlic (sliced). Add the shio-koji marinated chicken to the skillet so that the chicken is in one layer. Add 1T sake and cover with lid (by soaking the lid in water for a few minutes before using it, it will give a nice steaming effect). Cook over medium heat for 6-8 minutes or until the bottom side of the chicken is golden. 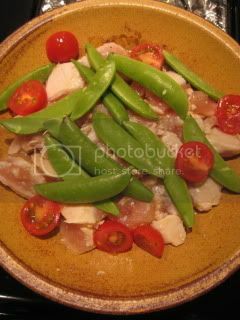 Stir the chicken and add 3 oz sugar snap peas and 4-6 cherry tomatoes (halved). Cover again and continue to cook for 3-4 minutes or until everything is just cooked through. Drizzle 1 tsp soy sauce. Turn off the heat and let rest for a few minutes (carryover heat will continue to cook the ingredients inside). Stir the ingredients lightly and serve. It's a umami-packed tasty dish. Chicken becomes really tender.